An inclusive approach to teaching maths careers is important. Women and girls continue to be under-represented in mathematical subjects post-16 and in STEM related maths careers. The IMA has signed the Science Council’s Declaration on Diversity, Equality and Inclusion, publicly committing to delivering a more diverse science workforce. Research carried out by Heather Mendick et al (2008) has recommended that strategies are needed to develop diverse representations of people doing maths in popular culture. The WISE campaign collaborates with industry and education to encourage UK girls of school age to value and pursue STEM or construction related courses in school or college, and to move on into related careers. UK Resource Centre for Women in SET (UKRC) is the government lead organisation to address the under-representation of women in SET. 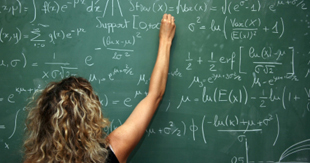 The European Mathematical Society women in maths committee address issues relating to the involvement, retention and progression of women in mathematics. The International Organization of Women and Mathematics Education is an international network of individuals and groups who share a commitment to achieving equity in education and who are interested in the links between gender and the teaching and learning of mathematics. Resources and initiatives working to promote and support all under -represented groups can be found within the Equality and Diversity toolkit. The toolkit allows anyone developing STEM careers materials and activities to ensure that resources will be truly inclusive. The pack can be accessed by sending an email to info@stemcareers.org.uk to register with STEM Subject Choice and Careers project.